The Panama Papers are a leaked set of 11.5 million confidential documents that provide detailed information about more than 214,000offshore companies listed by the Panamaniancorporate service provider Mossack Fonseca, including the identities of shareholders and directors of the companies. The documents show how wealthy individuals, including public officials, hid their assets from public scrutiny. At the time of publication, the papers identified five then-heads of state or government leaders from Argentina, Iceland, Saudi Arabia, Ukraine, and the United Arab Emirates as well as government officials, close relatives, and close associates of various heads of government of more than forty other countries. The British Virgin Islands was home to half of the companies exposed and Hong Kong contained the most affiliated banks, law firms, and middlemen. While the use of offshore business entities is not illegal in the jurisdictions in which they are registered, during their investigation reporters found that some of the shell companies may have been used for illegal purposes, including fraud, drug trafficking, and tax evasion. An anonymous source using the pseudonym “John Doe” made the documents available in batches to German newspaperSüddeutsche Zeitung beginning in early 2015. The information from this unremunerated whistleblower documents transactions as far back as the 1970s and eventually totaled 2.6 terabytes of data. Given the scale of the leak, the newspaper enlisted the help of the International Consortium of Investigative Journalists (ICIJ), which distributed the documents for investigation and analysis to some 400 journalists at 107 media organizations in 76 countries. The first news reports based on the papers, and 149 of the documents themselves, were published on April 3, 2016. The ICIJ plans to publish a full list of companies involved in early May 2016. Ninety-five per cent of our work coincidentally consists in selling vehicles to avoid taxes. Primarily provides services to people or businesses who are not its residents. Requires little or no disclosure of information when doing business. Customers in such a jurisdiction may require offshore accounts for any of a number of reasons, some entirely legal and ethically irreproachable; however, “the most obvious use of offshore financial centers is to avoid taxes”, as journalists and researchers such as The Economist and the Tax Justice Network have previously remarked. Igor Angelini, head of Europol‘s Financial Intelligence Group, said recently that the shell companies used for this purpose “play an important role in large-scale money laundering activities” and that they are often a means to “transfer bribe money”. Law firms generally play a central role in offshore financial operations. Mossack Fonseca, the Panamanian law firm whose papers were leaked in the Panama papers affair, is one of the biggest in the business. Its services to its clients include incorporating and operating shell companies in friendly jurisdictions on their behalf. They can include creating “complex shell company structures” that, while legal, also allow the firm’s clients “to operate behind an often impenetrable wall of secrecy”. The leaked papers detail some of their intricate, multi-level, and multi-national corporate structures. Mossack Fonseca has acted on behalf of more than 300,000 companies, most of them registered in financial centers which are British Overseas Territories. The firm works with the world’s biggest financial institutions, including Deutsche Bank,HSBC, Société Générale, Credit Suisse, UBS, Commerzbank, and Nordea. International Monetary Fund (IMF) researchers estimated in July 2015 that profit shifting by multinational companies costs developing countries around US$213 billion a year, almost two percent of their national income. More than a year before the April 2016 release of the leaked documents, an anonymous source who identified himself as “John Doe” offered German newspaper Süddeutsche Zeitung (SZ) large caches of sensitive banking documents. The newspaper accepted and in the space of a year received 2.6terabytes of data made up of Mossack Fonseca documents about 214,488 offshore entities. The leaked documents numbered 11.5 million and were created between the 1970s and late-2015 by Mossack Fonseca. According to Süddeutsche Zeitung reporter Bastian Obermayer, the source said that he decided to leak the data because he thought that Mossack Fonseca acted unethically. “The source thinks that this law firm in Panama is doing real harm to the world, and the source wants to end that. That’s one of the motivations,” said Obermayer. The International Consortium of Investigative Journalists helped organize the research and document review onceSüddeutsche Zeitung realized the scale of the work required to validate the authenticity of leak. Additional stories based on this data are in the works, and the full list of companies is to be released in early-May 2016. They enlisted reporters and resources from The Guardian, the BBC, Le Monde, SonntagsZeitung, Falter, La Nación, and German broadcasters NDRand WDR, and Austrian broadcaster ORF, and eventually many others. The sheer quantity of leaked data greatly exceeds the Wikileaks Cablegate leak in 2010 (1.7 GB), Offshore Leaks in 2013 (260 GB), the 2014 Lux Leaks (4 GB), and the 3.3 GB Swiss Leaks of 2015. In comparison, the 2.6 TB of the Panama Papers equals 2,600 GB. About 400 journalists from 107 media organizations in 80 countries at some point received and analyzed leak documents detailing the operations of the law firm and its clients’ shell companies After more than a year of reporting, the first news stories based on the documents were published on 3 April 2016, along with 149 of the documents themselves. The data concerned the operations and workings of some 214,000 shell companies. Reporters sorted the documents into a huge file structure containing a folder for each shell company, which held the emails, contracts, transcripts, and scanned documents Mossack Fonseca had generated while doing business with the company or administering it on a client’s behalf. Some 4.8 million leaked files were emails, 3 million were database format files,[clarification needed] 2.2 million PDFs, 1.2 million images, 320,000 text files, and 2242 files in other formats. Journalists indexed the documents, using open software packages Apache Solr and Apache Tika, and accessed them by means of a custom interface built on top of Blacklight. Süddeutsche Zeitung reporters also used Nuix for this, proprietary software donated by an Australian company also named Nuix. Using Nuix, SZ reporters also performed optical character recognition (OCR) processing on the millions of scanned documents, and the data they contained became both searchable and machine-readable. Most reporters then used Neo4J and Linkurious to extract individual and corporate names from the documents for analysis, but a few used Nuix for this as well. They then cross-matched the compiled lists of people against the processed documents. In the next step the reporters analyzed their information, trying to connect people, roles, monetary flow, and structure legality. Mossack Fonseca notified its clients on 1 April 2016 that it had sustained an email hack. When the document leak became public, two days later, the firm dismissed any connection to the email hack, which it said had been limited in scope. Data security experts noted, however, that the company had not been encrypting its emails and furthermore seemed to have been running a three-year-old version of Drupal with several known vulnerabilities. Some reports also suggest that some parts of the site may have been running WordPress with an out of date version of Revolution Slider, a plugin that hassuffered from vulnerabilities in the past. Gerard Ryle, director of the International Consortium of Investigative Journalists, called the leak “probably the biggest blow the offshore world has ever taken because of the extent of the documents.” Edward Snowden described the release in aTwitter message as the “biggest leak in the history of data journalism“. Reports from 3 April noted financial and power connections to several high-ranking political figures and their relatives. Several national leaders were named, including presidents Khalifa bin Zayed Al Nahyan of the United Arab Emirates, Petro Poroshenko of Ukraine, King Salman of Saudi Arabia, as well as the Prime Minister of Iceland, Sigmundur Davíð Gunnlaugsson. Former heads of state mentioned in the papers include Sudanese president Ahmed al-Mirghani, the Emir of Qatar Hamad bin Khalifa Al Thani, and prime ministers of Georgia Bidzina Ivanishvili, IraqAyad Allawi, and Jordan Ali Abu al-Ragheb, former Prime Minister of Qatar Hamad bin Jassim bin Jaber Al Thani, former Ukrainian prime minister Pavlo Lazarenko, and former prime minister of Moldova Ion Sturza. The leaked files identified 61 family members and associates of prime ministers, presidents and kings, including the deceased father of British prime minister David Cameron, the brother-in-law of China’s paramount leader Xi Jinping, the son of Malaysian prime minister Najib Razak, the children of Pakistani prime minister Nawaz Sharif, andAzerbaijani president Ilham Aliyev, Clive Khulubuse Zuma, the nephew of South Africanpresident Jacob Zuma, the grandson of Kazakh president Nursultan Nazarbayev, the personal secretary of Moroccan king Mohammed VI, and the “favourite contractor” of Mexican president Enrique Peña Nieto. Other clients included less senior government officials and their close relatives and associates from over forty different countries. Many individuals mentioned in the Panama Papers were connected with the world governing body of association football,FIFA, including former president of CONMEBOL Eugenio Figueredo, former President of UEFA Michel Platini, former secretary general of FIFA Jérôme Valcke, Argentine player Lionel Messi, and from Italy, the head manager of “Metro” Antonio Guglielmi. The leak also revealed an extensive conflict of interest connection between a member of the FIFA Ethics Committee and former FIFA vice president Eugenio Figueredo. Swiss police searched the offices of UEFA, European football’s governing body, after the naming of former secretary-general Gianni Infantino as president of FIFA. He had signed a television deal while he was at UEFA with a company called Cross Trading, which the FBI has since accused of bribery. The contract emerged among the leaked documents. Infantino has denied wrongdoing. Passports of at least 200 Americans were discovered in the Papers, but no US politicians have been named in the leak. Mossack Fonseca ran six businesses for Rami Makhlouf, cousin of Syrian presidentBashar al-Assad, despite US sanctions against him. DCB Finance, a Virgin Islands-based shell company founded by North Korean banker Kim Chol Sam and British banker Nigel Cowie also ignored international sanctions and continued to do business with North Korea with the help of the Panamanian firm. The US Department of the Treasury in 2013 called DCB Finance a front company for Daedong Credit Bank and announced sanctions against both companies for providing banking services to Korean arms dealer Korea Mining and Development Trading Corporation, attempting to evade sanctions against that country, and helping to sell arms and expand North Korea‘s nuclear weapons programme. Cowie said the holding company was used for legitimate business and he was not aware of illicit transactions. According to TeleSUR, United Arab Emirates President Khalifa bin Zayed Al Nahyan “used the services of Mossack Fonseca to establish at least 30 companies in the British Virgin Islands that owned and operated US$1.7 billion worth of commercial and residential assets for the sheikh in high-end neighborhoods in the United Kingdom.” Prime Minister of Pakistan Nawaz Sharif‘s three children — Mariam Safdar, Hasan and Hussain Nawaz Sharif are among the over 200 members of the Pakistani elite listed in the Panama Papers as owners of offshore companies in a tax haven. Popular Indian celebrities such as Amitabh Bachchan and Aishwarya Rai Bachchan are also involved, along with the real estate developer, DLF owner Kushal Pal Singh, and Sameer Gehlaut of the Indiabulls group, as well as Gautam Adani‘s elder brother Vinod Adani. Indian politicians on the list include Shishir Bajoria from West Bengal and Anurag Kejriwal, the former chief of the Delhi unit of Loksatta Party. Actor Jackie Chan has been mentioned in the leaks as a shareholder of six companies based in the British Virgin Islands. Among the celebrities involved in this list, the Spanish director Pedro Almodovar, who (along with his brother Augustine) created a company called Glen Valley in the British Virgin Islands, which is a tax haven. Mexican actress Edith Gonzalez was related through her husband Lorenzo Lazo, who was a Televisa partner, Veracruz governor, and currently owns an airline online. Similarly, it is ensuring that the president of TV Azteca, Banco Azteca and Azteca Foundation, Benjamin Ricardo Salinas Pliego, used an offshore company set up in the Virgin Islands with Panamanian firm for the purchase of a yacht. Puerto Rican recording artist Daddy Yankee appeared inside the huge leak of information from the Panama Papers. Anna Sigurlaug Pálsdóttir, the wife of Icelandic prime minister Sigmundur Davíð Gunnlaugsson held an interest in the country’s failed banks through offshore company Wintris Inc. Sigmundur Davíð, elected after the 2008 banking collapse in Iceland, had pledged to clean up corruption in the banking system. The couple bought Wintris in 2007 from Mossack Fonseca through the Luxembourg branch of Landsbanki. But Sigmundur Davíð did not declare his interest in the company when he entered parliament in 2009, and did not sell his 50 percent of Wintris to his wife—for US$1—until eight months later, on the day before a new law took effect that would have required him to declare the conflict of interest. Contacted by ICIJ journalists ahead of publication, the couple issued statements about journalist encroachment on their private lives and insisted on their disclosures were complete and the company paid taxes in Iceland. However, since his position involved negotiating with bank creditors and his wife as a bondholder was among them, citizens felt he had a strong conflict of interest. Calls for a snap election in the Althing (the Icelandic Parliament) were expected, but following the papers’ release, faced calls for his resignation instead. Between 22,000 and 24,000 people attended an anti-government protest outside parliament on 4 April 2016, and Edward Snowden wondered in a tweet if this constituted the “largest protest by percentage of population in history”. On 4 April 2016, Sigmundur Davíð announced on live television that he would not resign in the wake of the Panama Papers revelations, calling their content “nothing new”. He said he had not broken any rules and that his wife did not benefit financially from his decisions. However, on 5 April, he asked the President of Iceland to dissolve parliament and call for a general election. The president refused, saying it was not clear that other parties supported the move. Sigmundur Davíð announced his resignation 5 April though later press statements from his office suggested that he merely “stepped aside” for a time. In 2015 Juan Armando Hinojosa Cantú, a close friend of Mexican president Enrique Peña Nieto, enlisted Mossack Fonseca to create trusts for accounts worth US$100 million after he was investigated for allegedly giving special favours to the Mexican president and his wife, according to an analysis by ICIJ, who said that the documents showed “a complex offshore network” of nine companies in New Zealand, the United Kingdom, and the Netherlands. Described as Peña Nieto’s “favorite contractor”, Hinojosa’s companies have won more than eighty government contracts and received at least US$2.8 billion in state money, The New York Times reported last year. Over £10 million of cash from the sale of the gold stolen in the 1983 Brink’s-Mat robbery was laundered, first unwittingly by and later with the complicity of Mossack Fonseca, through a Panamanian company, Feberion Inc, set up on behalf of an unnamed client twelve months after the robbery. The money was put through Feberion, which had issued bearer sharesonly, and other front companies, via banks in Switzerland, Liechtenstein, Jersey, and the Isle of Man. Two nominee directors from Sark were appointed to Feberion by Jersey-based offshore specialist, Centre Services. The offshore firms served to recycle the funds through transactions in land and property in the United Kingdom. Although the metropolitan police raided the offices of Centre Services in late-1986 in cooperation with the Jersey authorities where they seized papers and the two Feberion bearer shares, it wasn’t until 1995 that Brink’s-Mat’s solicitors were finally able to take control of Feberion and the assets. Mossack Fonseca has managed more than 300,000 companies over the years, with the number of active companies peaking at over 80,000 in 2009. Over 210,000 companies in twenty-one jurisdictions figure in the leaks. More than half were incorporated in the British Virgin Islands, others in Panama, the Bahamas, the Seychelles, Niue, and Samoa. Mossack Fonseca’s clients have come from more than 100 countries. Most of the corporate clients were from Hong Kong, Switzerland, the United Kingdom, Luxembourg, Panama, and Cyprus. Mossack Fonseca worked with more than 14,000 banks, law firms, incorporators, and others to set up companies, foundations, and trusts for their clients. Some 3,100 companies listed in the database appear to have ties to US offshore specialists, and 3,500 shareholders of offshore companies list US addresses. Mossack Fonseca has offices in Nevada and Wyoming. The leaked documents indicate that about US$2 trillion has passed through the firm’s hands. Several of the holding companies that appear in the documents did business with sanctioned entities, such as arms merchants and relatives of dictators, while the sanctions were in place. The firm provided services to a Seychelles company named Pangates International, which the US government believes supplied aviation fuel to the Syrian government during the current civil war, and continued to handle its paperwork and certify it as a company in good standing, despite sanctions, until August 2015. Luxembourg’s Nordea Bank requested almost 400 holding companies in Panama and the British Virgin Islands for their customers between 2004 and 2014. The Swedish Financial Supervisory Authority (FI) has said that “serious deficiencies” exist in how Nordea monitors for money laundering, and has given the bank two warnings. In 2015 Nordea had to pay the largest possible fine—over five million EUR. In 2012 Nordea asked Mossack Fonseca to change documents retroactively so that three Danish customers’ power of attorney documents would appear to have been in force since 2010. The director for Nordea Private Banking, Thorben Sanders, has admitted that before 2009 Nordea did not screen for tax evaders: “In the end of 2009 we decided that our bank shall not be a means of tax evasion,” said Sanders.Other Swedish banks are also present in the documents, but Nordea occurs 10,902 times and the next most frequently mentioned bank only occurs 764 times. In response to the leaks, Prime Minister Stefan Löfven said he is very critical of Nordea’s conduct and role, while Minister of Finance Magdalena Andersson characterized the bank’s conduct as “totally unacceptable”. In response to queries from the The Miami Herald and ICIJ, Mossack Fonseca issued a 2,900-word statement. In substance, the response identified legal and compliance regimes around the world that reduce the ability of individuals to use offshore companies for tax avoidance and total anonymity. In particular, they cited the FATF protocols which (for companies and financial institutions in the majority of countries in the world) require identification of ultimate beneficial owners of all companies (including offshore companies) to open accounts and transact business. In an accompanying editor’s note, The Miami Herald stated that the Mossack Fonseca statement “did not address any of the specific due diligence failings uncovered by reporters”. On Monday, 4 April, Mossack Fonseca released a statement: “Our industry is not particularly well understood by the public, and unfortunately this series of articles will only serve to deepen that confusion. The facts are these: while we may have been the victim of a data breach, nothing we’ve seen in this illegally obtained cache of documents suggests we’ve done anything illegal, and that’s very much in keeping with the global reputation we’ve built over the past 40 years of doing business the right way, right here in Panama. Obviously, no one likes to have their property stolen, and we intend to do whatever we can to ensure the guilty parties are brought to justice. But in the meantime, our plan is to continue to serve our clients, stand behind our people, and support the local communities in which we have the privilege to work all over the world, just as we’ve done for nearly four decades.” Firm co-founder Ramón Fonseca Mora told CNN that the information published is false and full of inaccuracies and that parties “in many of the circumstances” cited by the ICIJ “are not and have never been clients of Mossack Fonseca.” The firm provided longer statements to ICIJ. Fonseca also said that the company always have been legal and have been hacked. approximately 90% of our clientele is comprised of professional clients, such as international financial institutions as well as trust companies and prominent law and accounting firms, who act as intermediaries and are regulated in the jurisdiction of their business. These clients are obliged to perform due diligence on their clients in accordance with the KYC and AML regulations to which they are subject. Ramón Fonseca said the leak was not an “inside job”—the company had been hacked by servers based abroad. It filed a complaint with the Panamanian attorney general’s office. On 7 April 2016 is was announced that Jürgen Mossack was resigning from Panama’s Council on Foreign Relations (Conarex). Yet, he was not officially serving at the time of his resignation. His brother Peter Mossack still serves as honorary Consul of Panama from 2010 to date. The Procuraduría de la Nación announced that it will open an investigation concerning the “Panama papers”, where Mossack Fonseca is involved. Minister of the Presidency, Alvaro Alemán categorically rejected that Panama is considered a tax haven and ruled that no permit is used the country as a “scapegoat”, thus reacting to the scandal “Panama Papers” and the subsequent re-registration by France in the list of tax havens. Alemán criticized vigorously the statements made by the Secretary General of the Organisation for Economic Co-operation and Development (OECD) José Ángel Gurría and Minister of Finance of France, Michael Sapin and considered as disrespectful and irresponsible, especially when publications speak of a total of 21 jurisdictions, but only lash out at Panama. Alemán explained that talks have started with the French ambassador in Panama, with whom the issue will be discussed preliminarily and establish avenues of understanding to clarify the situation being implicated the country. Eduardo Morgan of the Panamanian firm Morgan & Morgan accused the OECD of being behind the campaign to avoid competition that Panama represents for the interests of other countries. The Panama Papers are a very serious issue for Panama because it affects in an “unfair” manner the country’s image and is not the result of an investigation, but is a “hack”. This was stated on April 5, by Adolfo Linares, president of the Chamber of Commerce, Industries and Agriculture of Panama (Cciap). The Colegio Nacional de Abogados de Panama (CNA) urged the Panamanian government to sue anyone who has affected the country’s image with the massive leak of documents linking the Panamanian firm Mossack Fonseca with the creation of companies to move capital evading taxes. Political analyst Mario Rognoni said that Panama is the most affected in the whole scandal ‘Panama Papers’. He said the world is pointing to Panama as a tax haven and will depend on the policies adopted by the authorities. On the government of President Juan Carlos Varela, he believes he might be involved if he tries to cover up the responsibility of those involved. Economist Rolando Gordon said this hurts the country that has just emerged from the gray list of FATF. The US could ask Panama to modify the law, he said. The establishment of an offshore company is legal. The lawyer and excontralor of the Republic Alvin Weeden explained that illegal is that the product created or sold to others is used for money laundering or arms smuggling, terrorism, tax evasion. This case was published on Twitter: ‘Is like you create an atomic bomb, you sell it to another country and detonate them in another country’. This is a partial list of individuals named in the Panama Papers as shareholders, directors and beneficiaries of offshore companies. The International Consortium of Investigative Journalists (ICIJ) says it will release the full list of companies and people in the Panama Paper files in early May. Current or former heads of state or government of their country as defined by their political position at the time of announcement, not whether the documents in the Papers relating to them coincided with their period of office. Konrad Mizzi, Minister of Energy and Health. Mizzi is the the only serving EU minister featured in the leaks. U.K. Prime MinisterDavid Cameron, admitted on April 7, 2016, that he personally benefited from his late father’s offshore investment fund disclosed in the leaked Panama Papers. Helene Mathieu; Legal Consultants, member of the Quebec Bar. Louise Thérèse Blouin, the Montreal native, philanthropist, former Montreal businesswoman. Annette Laroche, Administrator for 150 companies incorporated in Quebec. Silvio Sacchi, former judge of Napoles, along with his partner Fabio Fraissinet and his accountant Salvatore Bizzarro. Samina Durrani, widow of former Governor of the State Bank Shahkur Ullah Durrani, and Ilyas Mehraj. Both relatives ofChief Minister of Punjab Shehbaz Sharif. Francisco y Juan José Franco Suelves, great grand sons of Spain’s dictator Francisco Franco. Thyssen Family. Borja Thyssen, the son of Carmen Cervera, Dowager Baroness Thyssen-Bornemisza, and whose private art collection forms the core of the Thyssen-Bornemisza Museum in Madrid, also appears in the records of the Panamanian buffete. Demetrio Carceller Coll and his sons. He was the son of Demetrio Carceller Segura, Minister of Industry and Commerceat the beginning of Franco‘s dictatorship. Demetro Carceller y Arce (1962), his son, is a director and shareholder of Sacyr (6.04%), director of Gas Natural and chairman and shareholder, with 23% of the beer Estrella Damm. Is the president of the Disa oil plus shareholder of Natural Gas, Ebro and CLH. Francisco Paesa, it is a famous agent of Spanish secret services. Juan Pedro Damiani, Uruguayan member of the FIFA Ethics Committee Resigned on 6 April 2016. Dermot Desmond, Irish businessman and majority shareholder of Celtic F.C. Daniel Fonseca, Uruguayan former footballer, now a football agent. Gabriel Heinze, Argentine former footballer, account with his mother. Bertín Osborne, Spanish vocalist and TV personality. Marina Ruíz Picasso, granddaughter of Spanish abstract painter, Pablo Picasso. Barbara d’Urso, Italian television actress and singer. Carlo Verdone, Italian actor, screenwriter and film director. Omar Aggad, Saudi businessman and former director of Arab Palestinian Investment Company (APIC), and his sonTarek Aggad, current chairman, CEO and owner of 27% of the company. Hussain Dawood, Pakistani businessman, Chairman of Dawood Hercules Corporation Limited, Engro CorporationLimited, Hub Power Company Limited, Pakistan Poverty Alleviation Fund and The Dawood Foundation. Lev Avnerovich Leviev, Israeli businessman, philanthropist, investor and owner of Lexinter International Inc., which holds shares in Vauxhall Securities Inc.
David Nahmad, Monegasque retired art dealer. Josep Lluís Nuñez, Spanish businessman, president of FC Barcelona from 1978 to 2000. Carles Vilarrubí, Spanish businessman and vicepresident of FC Barcelona. Miguel Blesa, Spanish financial officer, banker and president of the board of Caja Madrid from 1996 to 2009, which since 2013 is being investigated by judicial irregularities during his tenure and stopped by this corruption scandal. Alberto Cortina and his cousin Alberto Alcocer, Spanish businessmen, owners of Grupo ACS, the biggest construction company in the world and of 21% of Ence, the largest paper pulp and biomass energy company in Europe. Javier de la Rosa, Spanish businessman and lawyer. Meliá Hotels International‘s executive Spanish family, the Escarrer. Riu family, Spanish owners of RIU Hotels & Resorts. Martinón family, Spanish owners of Grupo Martinón, hotel company. Many countries and other official bodies responded to the March 2016 Panama Papers leak of legal documents related tooffshore tax havens. 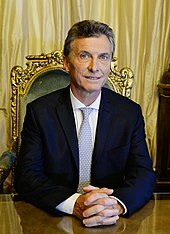 Argentine President Mauricio Macri is listed as head of a trading company based in the Bahamas that he did not disclose during his tenure as Mayor of Buenos Aires; it is not clear whether disclosure of non-equity directorships was then required under Argentine law. On April 7, 2016, federal prosecutor Federico Delgado began a formal investigation into Macri’s involvement with Fleg Trading Ltd., the company registered in Panama for which President Macri was listed as director. Judge Sebastián Casanello was asked to start the file on the inquiry. The initial petition was made by Neuquén representative Darío Martínez. Martínez claims Macri could be guilty of perjury due to omissions made in his sworn statement. Martínez also referenced another offshore company, Kagemusha SA (named after Akira Kurosawa’s 1980 film), which had been established in 1981 and to which President Macri also had connections. The family of Argentine football star Lionel Messi announced that they will file a complaint after reports accused him of assembling a tax evasion network in Panama. The family denied Messi had been involved and called the accusations slanderous. They said that the company referred to in the Panama Papers was inactive and that Messi had declared all income fromimage rights before and after proceedings with the Argentine Tax Agency. The Australian Taxation Office has announced that it is investigating 800 individual Australian taxpayers on the Mossack Fonseca list of clients and that some of the cases may be referred to the country’s Serious Financial Crime Task Force. Azerbaijani President Ilham Aliyev did not respond to repeated requests for comments. According to numerous media outlets, two conglomerates and thirty-two Bangladeshi shareholders are listed. Top business personalities include Muhammed Aziz Khan, Mohiuddin Monem, and Samson H. Chowdhury. Awami League Presidium member Kazi Zafarullah and his wife Nilufar Zafar are said to be in the list. On April 7, 2016, The Anti Corruption Commission Bangladesh launched an inquiry to obtain details of the businesses and individuals and said that tax evaders would be brought to trial and punished. Politicians from seven parties in Brazil were named as clients of a Panama-based firm at the center of a massive data leak over possible tax evasion. The leaked files included politicians from Brazil’s largest party, the PMDB, which broke away from President Dilma Rousseff‘s coalition in 2016. Political figures from the PSDB, the most prominent opposition party in the country, was also mentioned in the leaks, as well as others from the PDT, PP, PSB, PSD and the PTB parties. No politicians from Rousseff’s Party were mentioned in the leaks. A research in the Panama papers, from a group of Dutch journalists from the daily newspaper Trouw, has shown that TV Globo is cited “many times” in a money laundering investigation of the De Nederlandsche Bank which revealed that for years the media outlet conducted several “irregular financial transactions” through tax havens in order to pay broadcast rights for the Copa Libertadores. Canadian Prime Minister Justin Trudeau has denied any involvement with the leak, saying “I have entirely and completely been transparent about mine and my family’s finances. That is something I learned early on that Canadians expect from their leaders.” The Government has ordered the Canada Revenue Agency to find copies of the Panama Papers, in order to find any Canadians that used offshore accounts to avoid taxes. The Royal Bank of Canada CEO David McKay announced that the bank set up a team that will look back through four decades of documentation for ties to Mossack Fonseca. CEO Bill Downe of the Bank of Montreal also defended, saying “Canadian banks have ‘dramatically’ beefed up anti-money laundering controls over the last seven to 10 years.” He also stated that any link between Canadian businesses and the Panama Papers would have originated a long time ago, before the time when Canadian banks took action to stop money laundering. Relatives of highly placed Chinese officials including seven senior leaders and former senior leaders of Politburo of the Communist Party of China have been named, including former Premier Li Peng‘s daughter Li Xiaolin, former Communist Party General Secretary Hu Yaobang‘s son Hu Dehua and Deng Jiagui, the brother-in-law of current General SecretaryXi Jinping. Deng had two shell companies in the British Virgin Islands while Xi was a member of the Politburo Standing Committee, but they were dormant by the time Xi became General Secretary of Communist Party (paramount leader) in 2012. Others named include the son and daughter-in-law of propaganda chief Liu Yunshan and the son-in-law of Vice-Premier Zhang Gaoli. China’s government is suppressing mentions of the Panama Papers on social media and in search engines results. China’s Communist party reportedly has told news organizations to delete all content related to the Panama Papers leak. Considering the material to be a concerted foreign media attack on China, internet information offices were immediately given verbal orders to delete reprinted reports on the Panama Papers, and not to follow up on related content without exceptions. Hong Lei, the spokesman of China’s Foreign Ministry, responded that he had “no comment” for “such groundless accusations” at an April 5 news conference. China is in the third year of an anti-corruption campaign launched by Xi which has punished more than 300,000 party officials for financial misdeeds and created many enemies for Xi. Chinese authorities have blocked almost all information about the Panama Papers on Chinese media and the Internet. A screenshot showed that the authority had forced all websites to delete content about the Panama Papers. Foreign websites such as Wikileak, China Digital Times have been blocked in mainland China. Official media, like The Global Times(Huanqiu Shibao) reported the resignation of Prime Minister of Iceland, but the media never mentioned that the Panama Papers caused the resignation. On Sina Weibo, a twitter-like social media in China, almost all content about the Panama Papers was deleted. Because Xi’s brother-in-law had been named, and the Panama Canal is well known, Weibo users started to use “brother-in-law”, “Canal Papers”, and other such tags to avoid Weibo’s censor. Because of the censorship in mainland China, few Chinese people know of the Panama Papers. The National Directorate of Taxes and Customs launched an investigation into all 850 clients of Mossack Fonseca Colombia, a subsidiary of Mossack Fonseca that was established in 2009. In 2014, Colombia had placed Panama onto its blacklist of tax havens. Many senior EU figures have been implicated in the Panama Papers scandal. The European Commissioner for Taxation,Pierre Moscovici, has said that the European Union as a whole had a “duty” to prevent the kind of tax avoidance uncovered in the Panama Papers scandal. Moscovici told reporters the use of offshore companies to hide what he called “shocking amounts” of financial assets from tax authorities was “unethical”. He estimated that the tax shelters resulted in an annual loss of some €1 trillion in public finances, adding that the European Commission attempted to tighten tax rules across the union since November 2014 due to the “LuxLeaks” tax avoidance scandal (also revealed by the ICIJ), and hoped the extent of the Panama Papers revelations would spur countries to action. In a 2013 letter unearthed by the Financial Times to the then president of the European Council, Herman Van Rompuy, thePrime Minister of the United Kingdom David Cameron said that offshore trusts should not automatically be subject to the same transparency requirements as shell companies. Some analysts suggest that these actions may have an impact on the outcome of the upcoming referendum on UK membership of the EU. Alaa Mubarak, son of former president Hosni Mubarak, was cited as owning, through holding companies, real estate properties in London. French financial prosecutors opened a probe, and President François Hollande declared that tax evaders would be brought to trial and punished. Also as a result, France restored Panama to its tax havens list, from which it had recently been removed. Jean-Marie Le Pen, founder and long-time leader of the far-right-wing Front National is mentioned in the documents, along with several aides of his daughter Marine Le Pen, the current party leader. On April 5, 2016, Prime Minister of Iceland Sigmundur Davíð Gunnlaugsson announced his resignation. Reykjavík City Council Member Júlíus Vífill Ingvarsson resigned earlier in the day. Shortly after initial reports of Sigmundur Davíð’s resignation, the Prime Minister’s office in Iceland issued a statement to the international press saying that Sigmundur Davíð has not resigned, but rather stepped aside for an unspecified amount of time and will continue to serve as the Chairman of the Progressive Party. Indian Prime Minister Narendra Modi ordered an inquiry, and subsequently the Indian government announced that it was constituting a special multi-agency group comprising officers from the investigative unit of the Central Board of Direct Taxesand its Foreign Tax and Tax Research division, the Financial Intelligence Unit and the Reserve Bank of India. Finance Minister, Bambang P.S. Brodjonegoro, immediately responded quickly to the leaked data of tax evasion “Panama Papers” by instructing the Directorate General of Taxation (DGT) to follow up the findings. Leaked investment data originating from Panama law firm, Mossack Fonseca, attracted Bambang’s attention because they can be a source of new information about the potential tax that has not been traced. “I’ve asked Mr Ken (Dwijugiasteadi), Director General of Taxation, please let’s study the data known as Panama Papers”, he said at the headquarters of the DGT, Tuesday (5/4). Finance Minister once said there is potential for the property of the taxpayer around Rp 4,000 trillion, which has not been affected by the tax. He specifies, around Rp 1,400 trillion, is a property that is not taxed, and remitted to the DGT, while the remaining Rp 2,700 trillion, a rich Indonesian deposits in banks abroad. Some 600 Israeli companies and 850 Israeli shareholders are listed. Among the Israeli names found in the leaked documents are: top attorney Dov Weissglass, who was the bureau chief of the late prime minister Ariel Sharon; Jacob Engel, a businessman active in the African mining industry; and Idan Ofer, a member of one of Israel’s wealthiest families, according to Haaretz. Tareq Abbas, a son of Mahmoud Abbas, the president of the Palestinian Authority, was also revealed to hold $1 million in shares of an offshore company associated with the Palestinian Authority. Weissglass’ name appears as a sole owner of one of four companies set up by his business partner Assaf Halkin. The company, Talaville Global, was registered in the British Virgin Islands in May 2012, according to Haaretz, and seven months later, all of its shares were mortgaged against a loan from a Vienna bank. On April 6, 2016 Italy’s Procura of Turin ordered Guardia di Finanza further investigation regarding the 800 Italians contained in the Panama Paper’s documents. Aristóteles Núñez, who is in charge of the government’s tax administration, Servicio de Administración Tributaria, said that people involved in the Panama Papers case can still make tax declarations and pay taxes on their investments. Being Mexican and having foreign investments or bank accounts is not a crime, but having income and not declaring it is illegal. If the concealment of income from Panama Papers-related investments is categorized as tax evasion, fines of up to 100% of the omitted tax payment can result, as well as three months to nine years imprisonment for a “tax crime”. New Zealand’s Inland Revenue Department said that they were working to obtain details of people who have tax residence in the country who may have been involved in arrangements facilitated by Mossack Fonseca. Gerard Ryle, director of the International Consortium of Investigative Journalists, told Radio New Zealand on April 8, 2016 that New Zealand is a well-known tax haven and a “nice front for criminals”. The Norwegian Tax Administration expects to demand access to information from DNB (Norway’s largest financial services group) about approximately 30 companies formed by DNB that are owned by Norwegians, 20 of whom are living in Norway. 200 Norwegians are on the client list of Mossack Fonseca. As stated earlier, I do NOT own any company/property abroad. My brother has made me a trustee in one of his corporations which only entitles me to distribute assets to my brother Hussain’s family/children if needed. Nothing more than what my brother has already explained. The info provided by leaks does NOT say any wrongdoing involved. Distortion is wilful that a couple of media channels using to settle scores. Samina Durrani, the mother-in-law of chief minister Shebaz Sharif from his second marriage and Ilyas Mehraj, his brother-in-law from his first marriage are also included in the documents.The late Benazir Bhutto and her nephew are also mentioned. The Procuraduría de la Nación announced that it will open an investigation concerning the international journalistic investigation “Panama papers”, where Mossack Fonseca is involved. Minister of the Presidency, Alvaro Alemán categorically rejects that Panama is considered a tax haven and ruled that no permit is used the country as a “scapegoat”, thus reacting to the scandal “Panama Papers” and the subsequent re-registration by France in the list of tax havens. Alemán criticized vigorously the statements made by the Secretary General of the Organisation for Economic Co-operation and Development (OECD) José Ángel Gurría and Minister of Finance of France, Michael Sapin and considered as disrespectful and irresponsible, especially when publications speak of a total of 21 jurisdictions, but only lash out at Panama. Alemán explained that talks have started with the French ambassador in Panama, with whom the issue will be discussed preliminarily and establish avenues of understanding to clarify the situation being implicated the country.Eduardo Morgan, from the Panamanian firm Morgan & Morgan accuses the OECD of being behind the campaign to avoid competition that Panama represents for the interests of other countries. The Panama Papers are a very serious issue for Panama because it affects in an “unfair” manner the country’s image and is not the result of an investigation, but is a “hack”. This was stated on April 5, by Adolfo Linares, president of the Chamber of Commerce, Industries and Agriculture of Panama (Cciap). The Colegio Nacional de Abogados de Panama (CNA) urged the Panamanian government to sue anyone who has affected the country’s image with the massive leak of documents linking the Panamanian firm Mossack Fonseca with the creation of companies to move capital evading taxes. Political analyst Mario Rognoni said that Panama is the most affected in the whole scandal ‘Panama Papers’. He said the world is pointing to Panama as a tax haven and will depend on the policies adopted by the authorities. On the government of President Juan Carlos Varela, he believes he might be involved if he tries to cover up the responsibility of those involved. Economist Rolando Gordon said this hurts the country that has just emerged from the gray list of FATF. The US could ask Panama to modify the law, he said. He explained that at this time is seen as a scandal, but will each country, especially Panama to conduct investigations and determine whether it is true that illegal or improper acts were committed. Panama’s Lawyers Movement listed as a ‘cyber bullying or international cyberterrorism’ scandal called ‘Panama Papers’. In a press conference, the guild primarily condemned the attack on the country brand ‘Panama’. Fraguela Alfonso, president of the movement, said there is no doubt that this is a direct attack on the country’s financial system.’I invite all organized forces of the country to create a great crusade for the rescue of the country’s image, “he said.He said that Panama is not a tax haven and Panamanian corporations are widely used by the Panamanians.The law firm Rubio, Alvarez, Solis & Abrego also reacted and in a press release detailing that “in recent decades Panama has been in the financial and most important services in Latin America and the world plazas. Product of it all kinds of attacks on our service system ‘are encouraged.’ The establishment of an offshore company is legal. The lawyer and excontralor of the Republic Alvin Weeden explained that illegal is that the product created or sold to others is used for money laundering or arms smuggling, terrorism, tax evasion. This case was published on Twitter: ‘Is like you create an atomic bomb, you sell it to another country and detonate them in another country’. The Süddeutsche Zeitung, which made the papers public, has described the connections of various individuals listed in the papers to Russian PresidentVladimir Putin. According to the newspaper, the release of the papers confirms the previous descriptions of Russia as a kleptocratic “Mafia state” run by Putin and his inner circle. Vladimir Putin does not appear in any of the records but the names of many of his associates do, such as construction billionaires Arkadyand Boris Rotenberg, as well as the professional musician Sergei Roldugin and business magnate Alisher Usmanov. The papers also list billionaire Gennady Timchenko, Putin’s press secretary’s spouse, his cousin, Putin’s former KGBcolleagues, and several oligarchs as owning offshore shell companies. In 2011 Putin had criticized offshore companies as “unpatriotic”. The documents leaked indicated that Sergei Roldugin, a professional cellist described by Novaya Gazeta as Vladimir Putin‘s best friend and the godfather of his eldest daughter, had acquired assets worth at least $100 million, including a 12.5% stake in Video International, Russia’s largest television advertising firm. It was also revealed that Roldugin had acquired these assets in what the BBC described as “suspicious deals”. Putin spokesperson Dmitry Peskov said that Western mainstream media reporting of the Panama Papers was engaged in “Putinophobia”. He said the primary target of the leak was Vladimir Putin and the Panama Papers were part of a conspiracy against Russia, orchestrated by the Central Intelligence Agency, the United States Department of State and others. President Putin has denied “any element of corruption” over the Panama Papers leaks, saying his opponents are trying to destabilise Russia. Initially, aside from few independent outlets, Russian media entirely ignored the leak. Channel 1 and Rossiya 1, both state owned, did not mention the Panama Papers at all on April 4, when the story broke. When an opposition politician asked why the media was ignoring the story, Dmitry Kiselev, head of Rossiya Segodnya, refused to discuss or comment. To the extent that some coverage was given to the story it was often done in the middle of the night, and focused exclusively on international celebrities rather than the links to Putin’s circles found in the papers. Coverage of the leak began to appear after Peskov’s reaction, but generally focused on Peskov’s comments rather than discussing the information in the Panama Papers. King Salman has been mentioned in the leaks in relation to two British Virgin Islands companies taking mortgages in excess of US$34 million to purchase property in central London. His role has not been specified. The Crown Prince Muhammad bin Nayef has also been named in association with the Papers. The Swedish Financial Supervisory Authority (FI) said on April 4, 2016 it would launch an investigation into the actions ofNordea, one of the largest financial institutions in the Nordic countries, after Panama Papers revealed the company’s Luxembourg office had helped to set up nearly 400 offshore companies for its clients. Later FI informed that they will investigate also the other 3 bigger banks in Sweden: Handelsbanken, SEB and Swedbank. Nordea cut all ties with Mossack Fonseca following an interview with Nordea CEO Casper von Koskull on SVT on April 4. The FI has pointed out that there are “serious deficiencies” in how Nordea monitors money laundering and has given the bank two warnings. In 2015 Nordea had to pay the largest possible fine – over 5 million EUR. The Bangkok Post said that the “…Anti-Money Laundering Office (AMLO) is seeking information from its foreign counterparts regarding twenty-one Thai nationals reportedly included in a list of people worldwide using a Panama-based law firm apparently specializing in money laundering and tax evasion. It is not clear how why AMLO is investigating only twentyone. The Panama Papers include at least 780 names of individuals based in Thailand and another fifty companies based in Thailand. Some are foreigners or foreign-owned companiesm but 634 individual addresses in Thailand appear in the documents that have surfaced to date, including the CEOs of giant companies Bangkok Land and Phatra Finance. When Ukrainian President Petro Poroshenko ran for office in 2014, he pledged to sell his candy business (Roshen) if elected, but leaked documents indicate that on August 21, 2014 he instead had Mossack Fonseca set up offshore holding company Prime Asset Partners Ltd in the British Virgin Islands and moved his company there, roughly two months after the election.The move had the potential to save him millions of dollars on his Ukrainian taxes. Records in Cyprus show him as the firm’s only shareholder. Anti-corruption group Transparency International believes that the “creation of businesses while serving as president is a direct violation of the constitution”. Also, journalists from the Organized Crime and Corruption Reporting Project believe that with the move Poroshenko committed two other illegalities, starting a new business while in office and failing afterwards to report it on his disclosure statements. Poroshenko denied any wrongdoing and a spokesman said the offshore company had no active assets and was a legitimate corporate restructure aimed at helping to sell Poroshenko’s Roshen group. Analysts in Ukraine responded that the secretive way Poroshenko set up these accounts was certain to undermine trust in him, his party and Ukraine itself. The news about Poroshenko’s offshore business came as his government campaigned against offshore companies.Oleh Lyashko, leader of the Radical Party, urged lawmakers to begin impeachment proceedings, And even some of his allies backed calls for a parliamentary commission to investigate the allegations. In the Ukrainian Parliament, relations between the Poroshenko bloc and the People’s Front party of Prime Minister Arseniy Yatsenyuk had over previous months already soured, with mutual accusations of corruption. 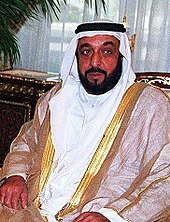 ICIJ, The Guardian and The Independent have reported that UAE President Khalifa bin Zayed Al Nahyan owns London real estate worth more than £1.2 billion through a structure of some thirty shell companies Mossack Fonseca set up for him in the British Virgin Islands and administer for him, using them to manage and control the luxury properties in London.By December 2015, Mossack Fonseca held nearly all of the shares in those companies in trust structures on his behalf, with the President and his wife, son and daughter the trust beneficiaries. 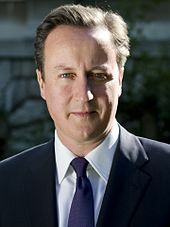 The Leader of the Opposition has called for an immediate independent investigation into the tax affairs of the family of British Prime Minister David Cameron (pictured). According to The Guardian, “More than £170bn of UK property is now held overseas. … Nearly one in 10 of the 31,000 tax haven companies that own British property are linked to Mossack Fonseca.” British property purchases worth more than £180 million were investigated in 2015 as the likely proceeds of corruption — almost all bought through offshore companies. Two-thirds of the purchases were made by companies registered in four British Overseas Territories and Crown dependencies which operate as tax havens –Jersey, Guernsey, the Isle of Man and the British Virgin Islands (BVI) – according to Land Registry data obtained by Private Eye magazine through freedom of information requests.The seller’s market has sent prices skyrocketing out of reach for many Londoners. Ian Cameron, the late father of UK Prime Minister David Cameron, ran an offshore fund through Mossack Fonseca that avoided British taxes for thirty years. Residents of the Bahamas, including a part-time bishop, signed the paperwork. His company, Blairmore Holdings, moved to Ireland, another country known for its lenient tax rules, in either 2010 or 2012, because its directors believed it would “come under more scrutiny” after the younger Cameron became Prime Minister. In response to his late father’s inclusion on the firm’s list of clients, David Cameron initially said his family’s taxes were “a private matter” but later issued a statement saying that he, his wife and children receive no benefit from the company, Blairmore Holdings, which is still in operation and has assets of £35 million. Cameron inherited £300,000 after his father died in 2010. On April 6, Cameron admitted that he had owned shares in Blairmoreand sold his shares before becoming PM; he paid tax on the dividends which he received from it, but there was no capital gains tax payable. Also included among the documents are the names of six members of the House of Lords, several of whom have been donors to Cameron’s Conservative Party. Prominent members of the Labour Party criticized the involvement of the Cameron family in the scandal. Shadow Secretary of State for International Development Diane Abbott described the revelations as “the tip of the iceberg” and “a stitch up”, and urged “meaningful reform” of the UK tax authority, HMRC, while Shadow Chancellor of the Exchequer John McDonnell condemned the tax avoidance schemes as “immoral” and described the allegations as “extremely serious”, saying “HMRC should treat this with utmost priority and urgently launch investigation”. The Leader of the Opposition,Jeremy Corbyn, urged an immediate independent investigation into the tax affairs of the Prime Minister’s family, as well as tighter laws on UK tax avoidance. Former Liberal Democrat Home Office Minister Norman Baker calling for further investigation of David Cameron’s activities. Scottish National Party leader Nicola Sturgeon also called for a clampdown on UK tax avoidance which “stamps out this sort of behavour” and called for “utter transparency” from David Cameron, adding that “what shocks people most about some of this is that it is not illegal”. Calls were made for the Prime Minister’s resignation, especially after he admitted owning shares in his father’s offshore company. Describing Prime Minister David Cameron as the “most hypocritical prime minister of my lifetime”, formerMayor of London Ken Livingstone said that “he shouldn’t just resign, he should be sent to prison”. Former leader of the SNP Alex Salmond also accused Cameron of “misleading the public” but said that “I’m not calling for his resignation until I get answers” to Cameron not registering offshore investment funds while an MP. As the United Kingdom still exercises varying degrees of control over British Overseas Territories and Crown dependencieswhich make up a large number of the many tax havens and ‘secrecy jurisdictions’ that exist, pressure has mounted on Prime Minister David Cameron to make changes. According to the Wall Street Journal, the Panama Papers “are shining a light on the constellation of offshore centers in the last remnants of the British Empire, from Gibraltar to the British Virgin Islands.” Of the companies handled by Mossack Fonseca which were included in the leaked data, British Overseas Territory the BVI topped the list, with 113,000 of the nearly 215,000 companies that Mossack Fonseca managed incorporated there. British Overseas Territory Anguilla was 7th on the list. Cameron criticized complex offshore structures in 2012, saying that it is “not fair and not right”, while at the G8 summit in 2013 he demanded more transparency, saying that it would be better for business. In 2014, Cameron asked all Overseas Territories and Crown dependencies to set-up an open register of firms and individuals with investments registered in their jurisdictions, but by the time of the Panama Papers leak in April 2016, only Montserrat and Gibraltar had agreed to do so. Leader of the Opposition Jeremy Corbyn, said “The government needs to stop pussyfooting around on tax dodging” and called for “direct rule” to be imposed over British Overseas Territories and Crown dependencies that act as tax havens, a move former Business Secretary Vince Cable agreed with, although former attorney general Dominic Grieve described it as a “bit of a nuclear option” which would “destroy the livelihoods” of BVI inhabitants in the finance industry. The Labour Party also said that Cameron’s plans for an “anti-corruption” summit in May would be “a charade” if Cameron, as chair of the summit, did not require representatives of all Crown dependencies and overseas territories to attend. Jennie Granger, a spokeswoman for HMRC said that the department had received “a great deal of information on offshore companies, including in Panama, from a wide range of sources, which is currently the subject of intensive investigation”. She said HMRC had asked ICIJ to share all its data. McClatchy Newspapers, the only participating US news organization, has found four Americans in the documents, all of whom were previously either accused or convicted of financial crimes such as fraud and tax evasion. In 2008, Mossack Fonseca reportedly utilized a 90-year-old British man to conceal the offshore accounts of Marianna Olszewski, a well-known US businesswoman. The lack of Americans in the leak has been suggested to be due to the facts that: shell companies can be created in the United States, major international banks based in America tend to have offshore accounts in the Cayman Islands and US laws like the Foreign Account Tax Compliance Act (FATCA) and other cross-border initiatives had meant that the “tax evasion game [was] principally over for American taxpayers”. But secret records obtained by the International Consortium of Investigative Journalists, the German newspaper Süddeutsche Zeitung and other media partners suggests that the statement is a legal sleight of hand designed to obscure the true owners of the painting. The records, more than 11 million documents in all, come from the internal files of Mossack Fonseca, a Panamanian law firm that specializes in building corporate structures that can be used to conceal assets. Dating from 1977 through 2015, the files include the biggest known cache of inside information on the connections between the international trade in art and offshore secrecy jurisdictions. The records paint a picture of a thinly regulated industry where anonymity is regularly used to shield all kinds of questionable behavior. The Nahmad family has controlled the Panama-based company, International Art Center, for more than 20 years, the records show. It is an important part of the family’s art business. David Nahmad, the family leader, has been the company’s sole owner since January 2014. The central question, Golub said, was whether the grandson can demonstrate this specific painting was stolen from his grandfather. Despite years of battling in court, it’s an issue that has received scant attention from a judge, since both sides have been fighting over who currently owns the painting. Other well-known art collectors with companies registered through Mossack Fonseca include Spain’s Thyssen-Bornemisza clan, Chinese entertainment magnate Wang Zhongjun and Picasso’s granddaughter, Marina Ruiz-Picasso. The firm’s records mention enough art to fill a small museum. Along with crucial new evidence in the legal battle over the Modigliani, there are clues in Mossack Fonseca’s files to the mystery of the missing masterpieces of a Greek shipping magnate and previously unknown details behind one of the 20th century’s most famous modern art auctions. In recent years, as art prices have grown dramatically, transactions are often obscured by the use of offshore companies, front men, free trade zones, manipulated auctions and private sales. While secrecy may be exploited legally to avoid publicity, limit legal exposure or ease operations across borders, it can also be employed for nefarious purposes, such as evading taxes and hiding shady ownership histories. Since art is easily transportable, expensive and poorly regulated, authorities fear that it is often used for money laundering. The current art market boom — and its connection to the secrecy zones within the global financial system — offers more evidence of the spectacular rise of the super rich. Art has become a valuable asset for a global elite eager to stash their money in safe and secluded harbors. In 2015, sales of art exceeded $63.8 billion, according to the trade publication Art Market Report, with top-dollar art experiencing the greatest growth. Total billionaire wealth allocated to art was estimated to be $32.6 billion in 2013. When high-dollar art changes hands, it often lands in a free trade zone known as a freeport. As long as art is housed in the freeport, owners pay no import taxes or duties. Critics worry the freeport system can be used to dodge tax or launder money since precise inventories and transactions are not tracked. According to the international professional services firm Deloitte, 42 percent of art collectors it surveyed said they would likely use a freeport. The oldest freeport, with the most art, is in Geneva. Its complex of storage facilities is said to contain enough treasure to rival any museum in the world. But it is Bouvier’s activities as a middleman in private deals that have made him the talk of the art world and a target for civil suits. Russian billionaire Dmitry Rybolovlev has filed complaints against Bouvier in Monaco, Paris, Hong Kong and Singapore, accusing him of fraudulently marking up the prices of paintings before selling them. After reviewing the claims, a judge in Singapore lifted a freeze on Bouvier’s assets and a judge in Hong Kong followed suit. Bouvier has strongly denied the charges. Not surprisingly, given the number of billionaires and art dealers who use Mossack Fonseca’s services, both men are clients of the firm. The law firm’s records show at least five companies connected to Bouvier, although none appear to be related to the Rybolovlev case. His antagonist, Rybolovlev, has two. Many trace the art market’s wild enthusiasm for modern art to a sale on a Monday evening in November 1997. Held at Christie’s in New York, the auction of the Victor and Sally Ganz collection produced record valuations for paintings and proved a milestone in the transformation of art into a global commodity. The full story behind the Ganz auction has never been revealed. The leaked documents show it involved hidden interests and one of the art world’s favorite offshore middlemen, Mossack Fonseca. The Ganzes were collectors of works by Pablo Picasso, early champions of Frank Stella and friends and patrons of Jasper Johns, Robert Rauschenberg and Eva Hesse. After the couple died, their children were forced to sell a collection that had adorned the walls of their childhood home. Simsbury International appears to have been created solely for the Ganz transaction. It was incorporated in April 1997. A month later it purchased the collection. Simsbury’s registered agent was Mossack Fonseca. Employees of the Panamanian law firm served as Simsbury International’s “nominee” directors, stand-ins who controlled the company on paper but who exercised no real authority over its activities. These paper directors signed agreements on the company’s behalf with a bank, an auction house and an art shipping company. Ownership of the company was held through “bearer shares.” These are simply certificates that allow whoever holds the paper to anonymously transfer or claim their value. Today, they are banned in many countries because of their usefulness to those who want to engage in tax evasion and money laundering. In a deal struck on May 2, 1997, Simsbury International bought the most valuable of the Ganz paintings for $168 million from Spink & Son, the London auction house then owned by Christie’s, according to the leaked documents. The sale came with a side-deal. If the auction for the works brought a higher price, the owner of Simsbury International and Spink & Son would share in the difference. The man who had power of attorney for Simsbury, and thus exercised control over the company and its bank account, was British billionaire Joseph Lewis. Then the richest man in England, Lewis made his fortune betting on currency movements. He was also Christie’s largest shareholder. The Ganz catalog stated “Christie’s has a direct financial interest in all property in this sale,” but the terms of that interest were never explained. The Ganz auction would help turn 1997 into one of Christie’s biggest years for sales up until then. The auctioneer raked in more than $2 billion that year. Bidding on the works were members of the billionaire Nahmad clan. David Nahmad went home with version “H,” adding it to what is considered one of the largest collections of Picassos in private hands. The Nahmads began as a banking dynasty of Sephardic Jews from Aleppo, Syria. In 1948, Hillel Nahmad relocated his wife and eight children to Beirut. He died in 2012. David assumed the mantel of family leader. He and his older brother Ezra both named their sons Hillel after their grandfather. The two sons both go by Helly. Together the four continue the family business. The two surviving brothers are worth a combined $3.3 billion, according to Forbes. They live in Monaco, among other locales. In addition to currency trading and art dealing, David Nahmad is also a championship backgammon player. Each son has a namesake gallery. Ezra’s son has the Helly Nahmad Gallery in London and David’s offspring, an identically named one in New York. Giuseppe Nahmad registered International Art Center S.A. in 1995 through the Swiss bank UBS and the Geneva office of Mossack Fonseca. It may have existed in another form prior to that date. A document in the Mossack Fonseca files mentions International Art Center acquiring the pastel “Danseuses” by Edgar Degas in October 1989. The Nahmads’ business, which stretches across jurisdictions and blood ties, is tailor-made for offshoring. With the Nahmad principals based in three countries, galleries on opposite sides of the Atlantic Ocean and most of the paintings stashed in Switzerland, the family requires the kind of legal siloing made possible by offshore companies. International Art Center is not the family’s only corporate entity with Mossack Fonseca. Giuseppe Nahmad also created Swinton International Ltd., which was registered in the British Virgin Islands in August 1992. The offshore entities are interconnected, their use a family affair. Giuseppe Nahmad had power of attorney over International Art Center’s UBS bank account as early as 1995. David and Ezra could also sign for the company’s bank account at UBS. For a company bank account with Citibank two years later, Giuseppe co-signed with his brother Ezra Nahmad, the documents show. In 1995, Swinton International authorized David Nahmad to negotiate the sale of five paintings it owned — an oil on panel by Picasso, “Danseuses” by Degas, two oils on canvas by Henri Matisse and an oil on canvas by Raoul Dufy. Some of the paintings subsequently went on auction at Sotheby’s, identified as being from a “private collection.” Two of the paintings had been the property of International Art Center. International Art Center’s ownership was initially held in bearer shares, making it impossible to tell who actually owned it. In 2001, a board resolution by Mossack Fonseca nominee directors created 100 shares in the company and granted them to Guiseppe. In 2008, those hundred shares were reassigned in equal portions to David and Ezra Nahmad. A year later, Ezra split his shares with his son Hillel. David did not do the same with his son. His son Helly’s extracurricular activities could have made him an unsuitable shareholder of International Art Center. Like his uncle Giuseppe, Helly had big appetites. The tabloids charted his exploits: models for girlfriends, a floor of multi-million dollar apartments in Trump Tower, movie star pals and high-stakes gambling. Given the family history, none of that was likely a problem until the U.S. Attorney for the Southern District of New York secured an indictment against him in April 2013 for his leadership role in an alleged $100 million gambling and money-laundering ring with ties to Russian gangsters. It was never proven in court that the behavior discussed took place. The conversation did not factor into the ultimate charge and the Nahmads’ lawyer said in an interview it has nothing to do with the Modigliani case. The Nahmads are not the only prominent art collecting clan that has found their offshore holdings embroiled in legal actions. Two lawsuits and a criminal investigation are underway in Lausanne, Switzerland, to try to determine the whereabouts and ownership of the art collection. The cases feature a sprawling and wealthy family at war with itself, shell companies based in Panama, allegations of a forged document and paintings by the likes of Van Gogh, Matisse and Picasso. The Goulandris clan with Chagall’s ‘Le violoniste bleu’ in the background. The art once belonged to Greek shipping tycoon Basil Goulandris. In 1994, Goulandris died of Parkinson’s disease. After his widow, Elise, died in 2000, her heirs learned the couple’s massive art collection had changed hands years earlier. A Panamanian company called Wilton Trading S.A. owned the paintings. In 1985, according to Basil’s nephew Peter J. Goulandris, Basil sold the entire collection of 83 paintings for the extraordinarily low price of $31.7 million dollars to Wilton Trading. Despite the sale, the paintings never left the couple’s possession. During this period, Basil and Elise Goulandris lent the artwork to museums and sold pieces to dealers with the provenance listed as if the pieces belonged to them. Much of what is known about Wilton Trading comes from the court cases in Switzerland. It was created in 1981 but didn’t have directors until 1995, ten years after the sales agreement was supposedly signed. According to a Swiss prosecutor, the paper on which the sales agreement is inked didn’t exist in 1985, and no one has been able to prove that any money changed hands. Peter J. Goulandris told a Swiss court that his late mother, Basil’s sister-in-law Maria Goulandris, was the owner of Wilton Trading. Elise died without offspring. Her niece Aspasia Zaimis believes she deserves a share of the 83 paintings and is suing the executor of Elise’s will. Early the next year, at a Sotheby’s auction in London, a company called Tricornio Holdings sold a painting by Pierre Bonnard called “Dans le cabinet de toilette.” Another company, Heredia Holdings, signed an agreement with Sotheby’s to sell a painting by Marc Chagall, “Les Comédiens.” A third company, Talara Holdings, put up for auction a Chagall painting called “Le Violoniste Bleu.” Around the same time, the 1888 Van Gogh depiction of a basket of oranges went to California direct marketing tycoon Greg Renker and his wife Stacey in a private sale. The seller was a company called Jacob Portfolio Incorporated. One of the transactions provides a clue to the identity of Marie Voridis. On October 22, 2004, Voridis transferred all rights to an oil painting by Pierre-Auguste Renoir known in English as “the Seamstress” to Talara Holdings. A few weeks later, Talara Holdings transferred the painting back to Voridis. The controversy over Modigliani’s “Seated Man with a Cane” began in a time when the fog of war provided the kind of concealment the offshore world offers today. Oscar Stettiner, the Jewish dealer who is alleged to have been the original owner of the painting, fled Paris in 1939, in advance of the Nazis, leaving behind his art collection. After the city fell, the Germans seized the collection and appointed a French “temporary administrator,” who auctioned off the painting for the benefit of the Nazis, according to legal filings. In October 1944, a U.S. military officer bought the Modigliani in a café for 25,000 francs, according to court documents. The Nahmad’s lawyer Richard Golub disputes this narrative. He questions whether Stettiner ever owned the painting. The Modigliani stayed hidden within a private collection until 1996, when International Art Center bought it at Christie’s in London for $3.2 million, according to documents filed in New York courts. The Helly Nahmad Gallery exhibited the painting in London in 1998 and at the Musee d’Art Moderne in Paris in 1999. Six years later it was part of a Modigliani exhibit at the Helly Nahmad Gallery in New York. Toronto-based Mondex Corp., a firm that specializes in recovering Nazi-looted art, discovered the painting’s alleged provenance by accident while looking through files in a French ministry. The company helped initiate the legal battle to return it to Philippe Maestracci, Oscar Stettiner’s grandson. Mondex does not disclose its fee for this service. On Feb. 11, 2015, the Nahmad’s lawyer in the Maestracci case in New York, Nehemiah Glanc, wrote an email to International Art Center’s attorney in Geneva. Glanc was on record as the lawyer for IAC, but he needed some key facts about the company before he could proceed, the leaked records obtained by ICIJ show. “Please advise as soon as possible as to who is authorized to sign on behalf of IAC,” he wrote in an email. The attorney in Geneva put Glanc in touch with Anaïs Di Nardo Di Maio in Mossack Fonseca’s Geneva office. Di Nardo could get the signatures of the Mossack Fonseca nominee directors in Panama as long as Glanc’s clients would pay for it. He agreed. One document signed by Mossack Fonseca’s nominee directors cost $32.10. The new complaint against the Nahmads made another effort to link the family to ownership of International Art Center, which it described as an alter ego of the family enterprise “in a manner so as to confuse and conceal their identities, and hide revenues generated” from the Nahmad family’s art dealing business. As the case continues on, Modigliani’s 1918 portrait, “Seated Man with a Cane,” is tucked away in the Geneva freeport in Switzerland, another treasure hidden from view.